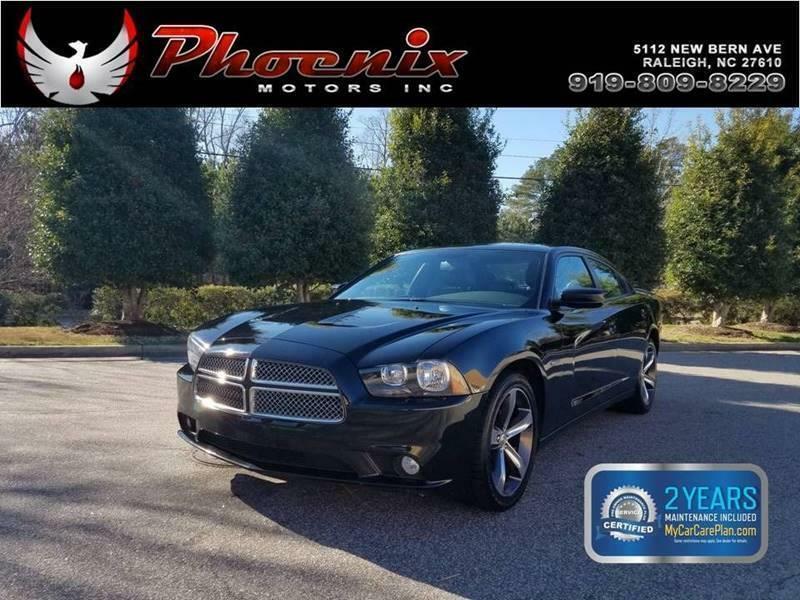 I would like to learn more about this 2014 Dodge Charger SXT 100th Anniversary Appearance Group 4dr Sedan. Please contact me as soon as possible! If you dig the 2014 Dodge Chargers bold styling, wait till you see what else this full-size sedan has to offer. Its a great all-around car at a great price. Standard equipment on the SE includes 17-inch alloy wheels, a five-speed automatic transmission, automatic headlights, keyless ignition/entry, cruise control, dual-zone manual climate control, a six-way power driver seat, 60/40 split-folding rear seats, a tilt-and-telescoping steering wheel, a 4.3-inch touchscreen interface and a six-speaker sound system with a CD player, an auxiliary audio jack and an iPod/USB audio interface. The SXT adds an eight-speed transmission (optional on SE), heated mirrors, foglamps, remote ignition, dual-zone automatic climate control, heated front seats, an eight-way power driver seat (with four-way power lumbar adjustment), a leather-wrapped steering wheel, an auto-dimming rearview mirror, an 8.4-inch touchscreen interface, Bluetooth audio and phone connectivity, satellite radio and upgraded speakers. The Rallye Appearance Group adds a slight power upgrade for the V6, 20-inch chrome wheels, performance tires and brakes, a sport-tuned suspension, a rear deck lid spoiler, a Sport mode for the transmission, shift paddles, sport seats and a 10-speaker Beats by Dr. Dre sound system. Standard safety features for the Charger include stability and traction control, antilock disc brakes, front seat side airbags, a driver-side knee airbag, side curtain airbags and active front head restraints.